"I'll shall lead the Templars for the people in Kingdom of Fiore once more!" As he's getting older, David became mature than his younger self. He is more wiser, focused, driven and determined. Since after the loss of his wife, David also became more solemn and stoic, no longer his old "happy, easygoing and outgoing" anymore. He also seek vengeance upon Kazunax and his allies for the cause of his wife's death, David will not be rest until he find the one who caused his wife's death and of course, kill him. David had been ferocious with his sword and shown no mercy to the underlings of Kazunax during the battle but he still got humanity within him, as he released the war prisoners after a battle. David also a charismatic leader who often boosted his fellow Templars and allies' morale with his speech, he is also a wise strategist in arts of war. Many wandering warriors, mages, and knights sided and fought along with David because his famous reputation for revived as a Grail Templar Master. David disliked to killed or injured those who are weaponless, and surrendered. He always protected those who are innocent even with his life, regardless the consequences. It is also known that David loved and cared children than anything else. David is born as the eldest child on the year X763 to Magnus Lejonet and Marian Valkyn in Ibelin, a peaceful town and home to the chivalrous Ibelin Knights in Kingdom of Fiore. David did not awared that he carried magic bloodline because his mother Marian is a former Fairy Tail battle mage and hero in Pergrande Kingdom. When he was three years old, David’s mother died after giving birth to his younger sister Mhairi. When he and his 3 years old sister were playing in the forest which is near Ibelin, David was kidnapped by a group of men and separated from his sister who escaped from the kidnappers. David had a lot of sufferings as a slave in the Tower of Heaven. He was tortured until his head was struck and that made him suffered amnesiac. Despite being suffered, the 8 years old boy continue to be strong along with his two new friends who also do not know their own names. Later few months, the three and some of the slaves were taken away from Tower of Heaven by the dark mages and decided to brought them to another place. During on the way, the dark mages and the slavers were ambushed by a group of mounted knights who had white mantle with red cross. The knights killed all the slavers and the dark mages, freed the slaves including the three boys. One of the knights who were the grandmaster, Jacques saw the poor boys and asked for their names but the boys didn’t know how to answer. Jacques named them as Michael for being the eldest, Raphael being the second and Gabriel for being the youngest. The Grail Templar Master brought them back to the knights’ stronghold which is outskirts of Magnolia Town. These knights were known as Grail Templars Order or simply known as “Templars” by people of Fiore. The Grail Templars used to be descent from Grail Watchers, an ancient multinational military organization which consisted of knights and mages, who defended Earthland from Zeref's demons. Since after Zeref's defeat, the Grail Watchers had been separated into two orders; one is Grail Templars, male knights with Sword Abilities and Re-quip Magics. The other is Grail Hospitallers, knights and mages. The Grail Templars had a civil war with Magic Council during ancient time but they've been defeated and sworn their allegiance to Kingdom of Fiore but not to Magic Council. Since as a child, the Grail Templar Master Jacques instructed Michael the way of the sword, knighthood and arts of war in the Templar Stronghold. Like his sworn brothers Raphael and Gabriel, Michael is Jacques’s favorite student and treated him like his own son. As he reached at the age of 18, Michael and his sworn brothers became Swordbrothers or Archangels, a title and rank that bestowed on those Templars who were trained and guided under by the grandmaster. These Archangels also been taught by their grandmaster about Re-quip magics as well as Sword Magics. The Three Archangels were feared by the dark mages and the bandits for their prowess in both magic and combat. Michael and his Archangels also successfully retrieved the powerful armors which used by the three ancient Grail Templars' champions. Not just armors, they also granted a power by the spirits of the ancient Templars which is known as "Awakened State" but they still unable to control their "Awakened State". At the age of 19, Michael and his fellow two Archangels were given a quest by their grandmaster Jacques. There is a rumor that a small group of cultists were trying to summon one of Zeref’s large demons in a snowing city called Gothia, far west from Mount Hakobe. The Archangels were sent there to investigate the matter and the rumor is true, a group of dark mages were trying to summon Zeref’s demon who is known as Phomet. Michael, the Archangels and the Grail Templars assaulted the stronghold, killed every dark mages but they realized it was too late; Phomet already have been summoned and begin his journey to Gothia. In the mean time, the Grail Templars led by Grandmaster Jacques already arrived at the city and prepare the defense against the demon. Since after the townspeople were evacuated, the Grail Templars fought bravery against Phomet but many of them were killed and Jacques was gravely wounded. Both Raphael and Gabriel were also wounded during the battle against the demon; Michael was the only hope for the Grail Templars and Gothia. He used every Sword Magic Abilities to fight against the demon but Phomet was proved to be powerful, Michael was mauled by the demon and he was greatly injured. As Phomet begin to kill the young Archangel with its power, Jacques shielded Michael with himself and sacrificed for the young Templar’s sake. When he saw his mentor fallen in the battle, Michael snapped into Archangel Awakened State and his eyes went glowing in blue, he used Re-Quip magic to summoned his most powerful armor Noble Archangel and his rune sword Silverlight. With his two Archangels who also went into Archangel Awakened State, the three single-highhandedly slew the demon and defeated it. Since after the demon was defeated, the people of Gothia came back and cheered in the young three Archangels' name. Michael, Raphael and Gabriel were bestowed as "Champions of Gothia" and also called as "The Three Divine Crusaders" by some townsfolk. Sadly, the Grail Templar Master Jacques was killed and because he was the eldest of the Archangels, the Templars wanted Michael to become the new Grail Templar Master. Along with help and assistance from his sworn brothers Raphael and Gabriel, Michael led the Templars as their Grail Templar Master. Kingdom of Fiore later declared war on Kingdom of Bellum due one of the Bellum’s sorcerers, Lyrac struck and burned down one of the Magic Councils’ buildings in Fiore, killed everyone inside. Not just the Templars, other noble families with their military forces and background joined the campaign and ready to face the forces of Sin in Desierto, known as Deserts of Hell. Along with his Templars who served as heavy cavalry forces, Michael met with his long-lost father Magnus Lejonet who was the marshal of Fiore crusading army, but still he never regained back his memories of his father. There were many major battles in Desierto, sometimes Fiore wins and sometimes Kingdom of Bellum wins, which ended up bloody deaths of many knights, soldiers, nobles and natives of Desierto. Much respected by the soldiers and knights of Bellum for being honorable and often released the war prisoners of Bellum without offering ransom, Michael is known to them as "Al Magnolia". He also became a friend of the crusaders' most feared enemy; dreaded but surprisingly friendly King Ritcher of Bellum after saved him from a group of desert bandits. Although both become very close friends, both Michael and Ritcher became great enemies at the same time in the battles. The Kingdom of Bellum not just his enemies, Michael and his Templars always bickering and arguing with the Rune Knights which sent by the Magic Council. One of the cities in Desierto which defended by the Templars and Lejonet forces, were heavily under siege by the forces of Sin. As the siege continued for two days, Magnus was struck and wounded by an arrow and the defense forces were forced to retreat from the city. 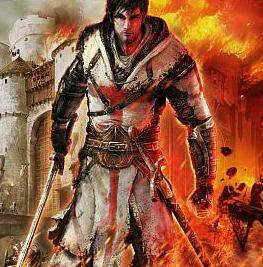 The Templars, told the Swordbrothers to escape along with the Lejonet forces while they hold the Sin forces’ pursuit. Michael and his Swordbrothers were left their Templar brothers reluctantly behind and successfully escaped from their enemy’s grasp. On next day, grave news came to the Swordbrothers that all Templars were killed or captured until the last man, by the hands of Bellum forces. As the marshal was dying in his bed, he personally asked the young Grail Templar Master to come into the tent. Magnus told Michael that he was his father and the grandmaster is his long-lost son, Magnus knew it because he saw the cross that worn around Michael’s neck, a gift from him when he was a child. Michael suddenly regained back his memories of his childhood, and remembered back his name David. Before he could say anything, Magnus passed away with a smile that he finally found his long-lost son. Since after that, David declared that Michael is dead among the deceased Templars and he shall led the Fiore crusaders as their second marshal. ~"I'll bid you farewell and safe travels, Michael." "To you as well, your Majesty." - David to King Ritcher before his departure. Both sides were suffered casualties and it is time to put an end into the crusade. King Ritcher and Michael meet with each other again and signed their peace treaty for the sake for their people as well as the natives in Desierto. As the terms on the peace treaty, the Fiore crusaders will give back the cities to the king of Bellum while the king executed Lyrac for starting the war. "Life is full of meanings, sometimes we shared happiness... sometimes we shared sadness together... But as long as we together, nothing will separate us, even death... My mother used to said this to me when I was a child, and I never knew... that she is a former mage of Fairy Tail." - David wrote down his memoir in his first novel "Noble Kings in Earthland"
Many people in Kingdom of Fiore mourned and grieved over the destruction of the noble Templars, they believed all of them were killed and dead in Crusade of Desierto. David hidden his identity as the grandmaster of the late order and decided to take his real name as David Balian of Lejonet, while his Swordbrothers Raphael and Gabriel give up their swords and lived their peaceful life in Fiore with different names. Back to his hometown Ibelin in Fiore, David reunited with his long lost young sister Mhairi and both of them attended their father’s funeral together along with their cousins. As the eldest, David inherited all the lands, properties, and wealth. Not only that, he also became a knight of his late father’s knighthood order, The Knights of Ibelin Order, which led by his father’s old friend Walter. David placed his Templar surcoat, sword, shield and mantle into a chest, and will use them when the time is right. Since after he became a nobleman, David reduced Ibelin’s taxes and he became well-liked by the townsfolk of Ibelin. He’s also having business with Kingdom of Fiore and other kingdoms by trading the supplies such as wool, liquors, woods and livestock. He helped his late father’s friend Walter to trained new knights and squires into the Ibelin Knights and made them more efficient than before, often patrol around the borders of Fiore and take care of the criminal activities or any other duties. Not only that, 21 years old David established his own novel production company known as Fiore Novelization Productions, and his published novels were became famous and favorite of most Fiore’s novel fans. He also had several adventures with some of his friends, mostly mages from Fairy Tail and Blue Pegasus. Not just that, David also reunited with his Swordbrothers Raphael and Gabriel. At the age of 25, David bethrothed with an elven mage named Vahnyah Theirin who hailed from Kingdom of Joya. Not only that, David also requested to the Fairy Tail in order to have his marriage in the Fairy Tail Headquarters while hired a priest from Kardia Cathedral. King Ritcher also sent his congratulations and gifts to David as well. Things were peaceful for him until Kazunax's forces were arise and conquered some provinces in Fiore. David in Templar outfit and his fellow Ibelin Knights defended Ibelin with their best but Kazunax's forces were too strong, Walter was killed and Vahnyah was wounded gravely by a powerful dark mage during the battle. David, his sister Mhairi, the Ibelin Knights and the townspeople of Ibelin were forced to flee from Ibelin. David led his townspeople and knights into the abandoned Fortress of Grail which is outskirts of Magnolia and also, the home to Templars including David himself. The people and the Ibelin knights were settled there while Vahnyah was tended with her wounds. Even though they have a physician along with them, Vahnyah's wound cannot be healed and she was dying, desperate to see David for once last time. As the 29 years old David sat beside his wife's bed, Vahnyah apologized in tears and couldn't be with him or bear him a child. David said nothing but asked Vahnyah not to blame herself and he had sworn to her that he will take Fiore from the hands of Kazunax and his forces. Since after Vahnyah's death and funeral, David went Awakened State for a while as well as tears came out from his eyes. "For centuries, we have been watched and waited for the dark forces to return. It is always been our duty to defend Fiore once more. It is meant to be the swords and protectors of the people in Fiore. We will rise from ashes once more, as Grail Templars." David sent a letter to the Grail Hospitallers in Pergrande Kingdom for aid and they agreed to sent a company of Hospitallers to Kingdom of Fiore. The Ibelin Knights in their new outfit approached their lord and to David's surprise, these knights were wearing the Templar surcoats and mantles. The Ibelin Knights declared themselves that they are no longer Ibelin Knights but the Templars, who will fight for Kingdom of Fiore and free it from Kazunax's grasp. David determined to become these new Templars' grandmaster once more and led them into battles against Kazunax's forces. Accessories: David's cross along with his deceased wife's ring which surrounded his neck. - Scar on his right cheek, received it recently. - Multiple scars behind his back, David received them when he was a child slave in the Tower of Heaven. Since after he became one of the three Archangels, David specialize in Ex-quip and Re-quip abilities. He only able to summoned 2 types of armors. But David often wear on his Templar surcoat and mail plates alike, he rarely used Ex-quip and Re-quip magics in battles unless it's necessary. David's most powerful armor, the Noble Archangel as well with his rune sword Silverlight. Not only just flying, he can used his ethereal wings to become as his shield or weapon such as bashing enemies. This armor boosted his speed, strength and defense. But the main problem is that this Ex-quip ability needed David to activated into "Awakened State" otherwise, he cannot summoned the armor. It's previous owner is an unnamed Grail Templar hero who fought against Zeref's demons in the past. David's second armor, the Divine Crusader. It is given by the best blacksmith in Gothia for David. It's a leather armor mostly covered with plate, with a plate winged helmet and a black and red skirt. It helped David to boost his attack speed and agility with his sword and shield. David will activated his inner power, Awakened State. When this state were activated, David's eyes will glow in blue and surrounded with arcane seal. With this ability, David's speed, mobility, strength, as well as some of his magic abilities increased. He also can used this ability to summoned his powerful armor Noble Archangel and rune sword Silverlight. Although he had this powerful ability, David still cannot controlled it because he haven't fully mastered his "Awakened State" and once he was in "Awakened State", he became someone else as if there is another person in him and anyone who stand in his way even allies, will be his enemies. David launched several flurries against his enemies with his sword and bashed few of them away with his shield. David summoned 5 light swords and sent them towards to his enemies. David coated his sword with lightning element and used it to attack his enemies with lightning damage. Since childhood and lived among the Templars, David were trained by his mentor about sword and shield which is the basic combat training for the Templar squires. He even can used his kite shield as a weapon, such as bashing or deliver a final blow on the fallen enemy with it. David can be dual-wielding his swords especially with his Templar Steel and his noble family sword of Ibelin. Otherwise, he can be dual wielded a sword and a dagger. David had been taught by his Archangel sworn brother Raphael about the way of wielding a two-handed sword which it's attack combined with speed and strength. Back in his younger days as a Templar Master, David often led his Templar cavalry forces in the Crusade of Desierto. He often wielded a lance while on his warhorse and charged into the enemy lines along with his cavalry forces. David expertize in knives-throwing, crossbows, bows, as well as flintlock mechanism weapons [which taught by his younger sister]. He can even used projectile weapons while on horseback. His gauntlets and helms not only just armor but can be used as weapons as well. Because they're made from steel, gauntlets can be used for punching and helms can be used for headbutt during close combat. 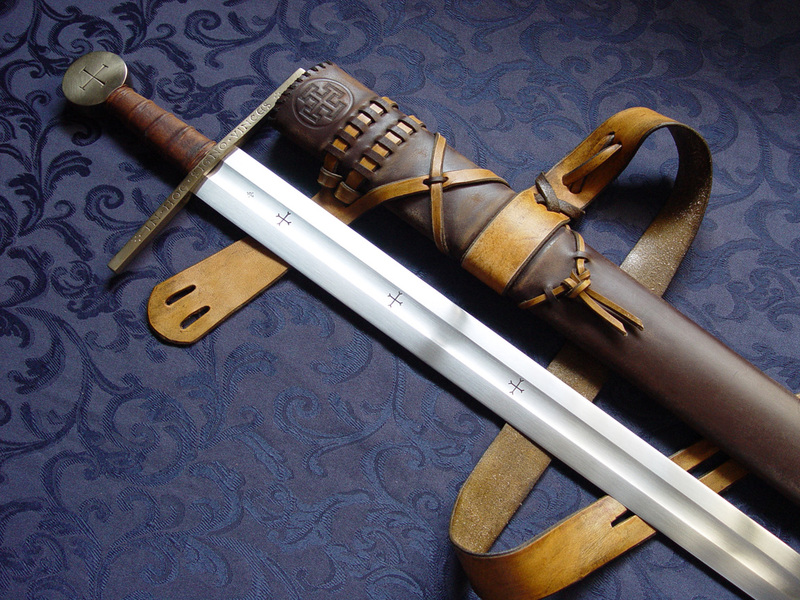 David's old Templar steel sword, he received it since after his initiation as a Grail Templar. 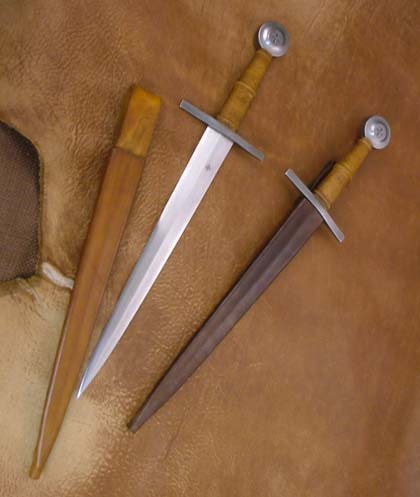 David's family sword, which the blade is made and forged with steel and silver. A simple Templar iron dagger. 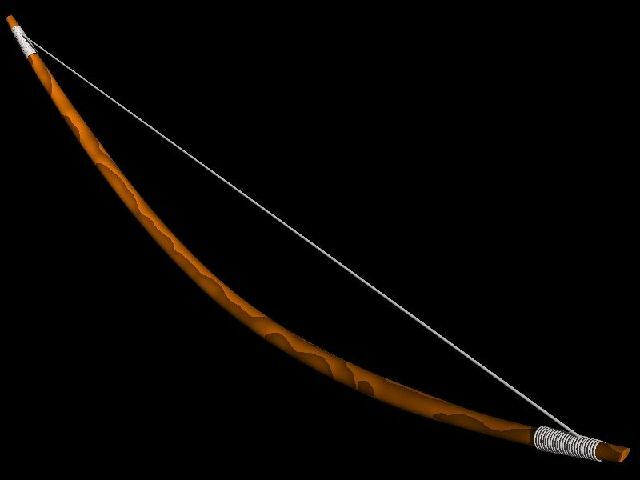 Used for range attack towards his enemies. The voice of a Templar reached into his office, he get up from his seat and readied himself for what is coming. A Templar run into the office and desperate for breathing, he wanted to talk but he couldn't, he was running out of oxygen for being running so fast. "Calm down, Templar. What is it?" Michael approached the exhausted Templar and pat him on his back for a while. After few seconds, the Templar exhaled and breathed in deeply while look at the young grandmaster. "King Ritcher... King Ritcher of Bellum has crossed the Bedwuin Borders with 200,00 men and the villagers from there were fleeing towards Ahmerrad!" he told Michael, and that is the most shocking and unpleasant news. King Ritcher is marching towards Ahmerrad in no time, and it is time to act right now. "Marshal Lejonet will led his forces before Ritcher reaches Ahmerrad but it will going to take some time!" Michael quickly went towards his armaments, he picked up his chainmail and wear on his body before his Templar surcoat. He quickly get his leather gloves and ready his sword. "Assemble the rest of the Templars and get the villagers into Ahmerrad! Go!" Michael ordered the Templar and he left in hurry. Grabbed his nasal helm and placed it under his arm, Michael quickly left his office and climbed down the stairs in haste. He could hear the alarm bells ringing and everyone shouting in the Ahmerrad city, they were preparing themselves for the attack from Bellumeses. He approached the stables and his fellow armored Templars were there who were already mounted on their horses with lances, banners and kite shields. Michael climbed onto his horse and let his nasal helm hanging under his waist. "Move out!" he cried out as he rode his warhorse out from the stables while his mounted Templars follow him from behind. The gate of the city opened and the Templar rode out in such neat formation. As he rode out along with his knights, Michael saw there are villagers were running with their bags and livestock, while away far behind them a large group of Bellum forces were marching slowly on the deserts. "Hyah!" Michael steered his warhorse and continue to rode alongside with his Templars. There are totally 20 Templars including Michael himself, rode past the villagers and lined a formation. Scanned the enemy forces with his eyes, Michael have no doubt that they will lose this battle but as long as the villagers make it into the city. "Templar Master Michael! Templar Master Michael!" A mounted bald knight with Lejonet surcoat and banner approached the Templars, calling Michael's name. The young grandmaster rode out from the formation and the Lejonet knight approached Michael immediately, it was Almaric... loyal knight of Marshal Lejonet. "Templar Master! My lord Marshal Lejonet needed you and your Templars went back into Ahmerrad city! "Thank you but no. Almaric, if we leave, these villagers will die during the battle. We Templars will hold the Bellum forces as long as we can to buy the villagers some time and your lord's forces to arrive." "So be it... May God be with you, Templar." Almaric rode away from the Templars immediately, Michael pulled on his mail coif while Raphael, approached from behind with his horse. "Well, we cannot attack that and live... Unless we used Archangel armors." he joked but Michael, had no time to respond as he look back at his fellow Templars and to Raphael. Raphael drawn out his sword while Michael smiled upon him. Sadly Gabriel wasn't here, because he followed Marshal Lejonet for a while. After he put his nasal helm on, Michael drawn out his sword and pointed it to the air, and the Templars do the same. Marching forward, the mounted Templars jogged for a while and begin to charge. The wind and sands hit his face but Michael doesn't care, he continue to press on. "Form wedge formation!" the Templars slowly formed a wedge formation, they haven't get close into the enemies yet but it will be sooner or later. They are closing in, it is the time. "Divide!" Michael ordered again, and the Templars divided into line formation. This will be a long battle between a small numbers of brave Templars and thousands of Bellum forces. Congratulations! Your character has been given a ranking of 2-0. If you have any questions, please contact me.